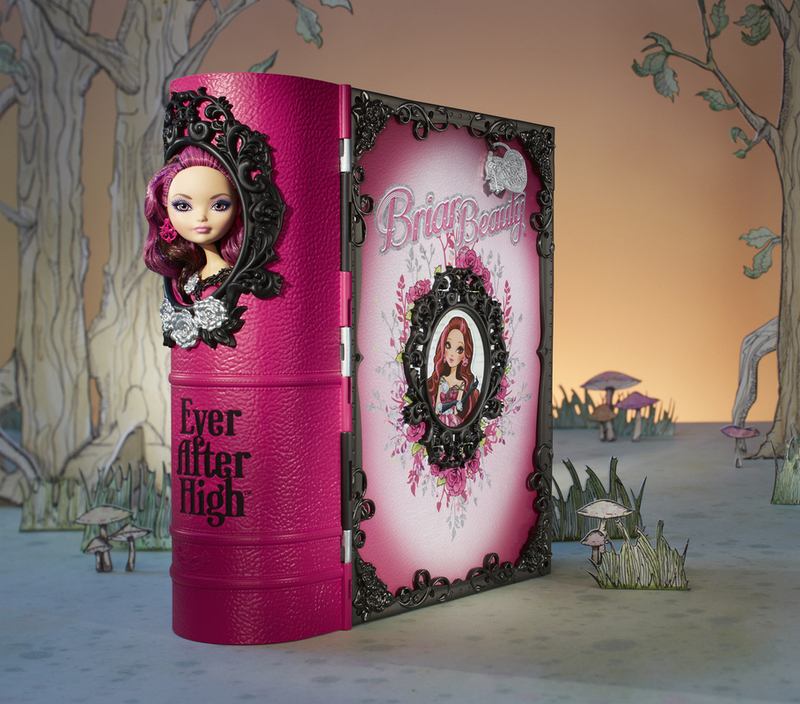 Start a new chapter with Ever After High, where the teenage sons and daughters of famous fairytales decide whether or not to follow in their parents’ fabled footsteps. 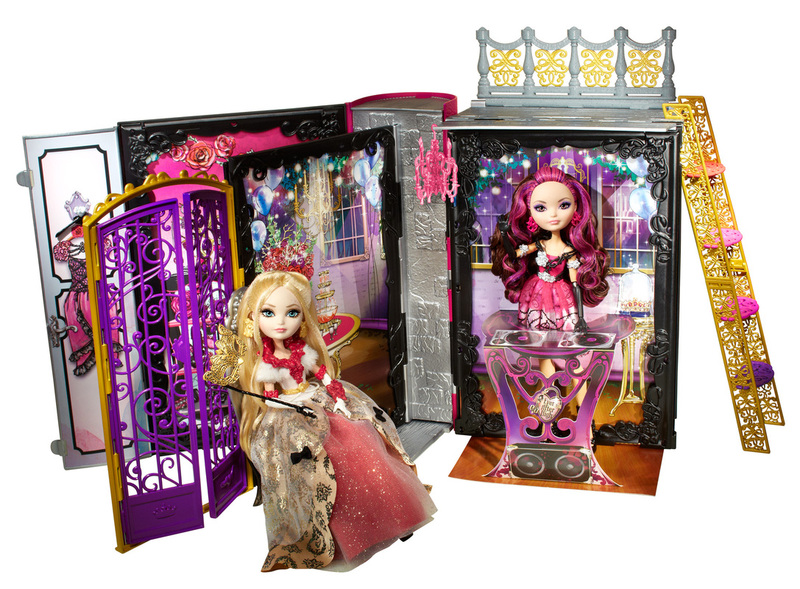 Spellebrate rewritten destinies, fableous fashions and fairytale stories with this line of royals, rebels and enchanting accessories.Hexcitement’s in the air at Ever After High! It’s time to spellebrate…time to get epic…time for Thronecoming! This spellbinding book-inspired item is the perfect setting for girls to display both their Royals and Rebels dolls in multiple scenes from Thronecoming at Ever After High. The set comes with a Briar Beauty doll to allow hexquisite storytelling and display right out of the box. Beautifully stored and displayed in the spine, Briar Beauty doll is enchanting in hexquisite evening attire with a divacorn-inspired mask perfect for a masquerade ball - like the one held at Thronecoming. Open the book, with its rich details of foil and prints, to reveal her dorm room, where she and her best friends forever after can get fairest for the Thronecoming dance. Then turn the page - literally - for a Thronecoming scene complete with DJ stand, treat table and throne to honor the queen! Who will be crowned? It’s any fairy teenager’s guess. Then, flip to the back for a third scene and even more epic display in the outdoor setting, complete with a balcony. Customizable furniture and accessories allow for detailed display settings and elaborate stories. 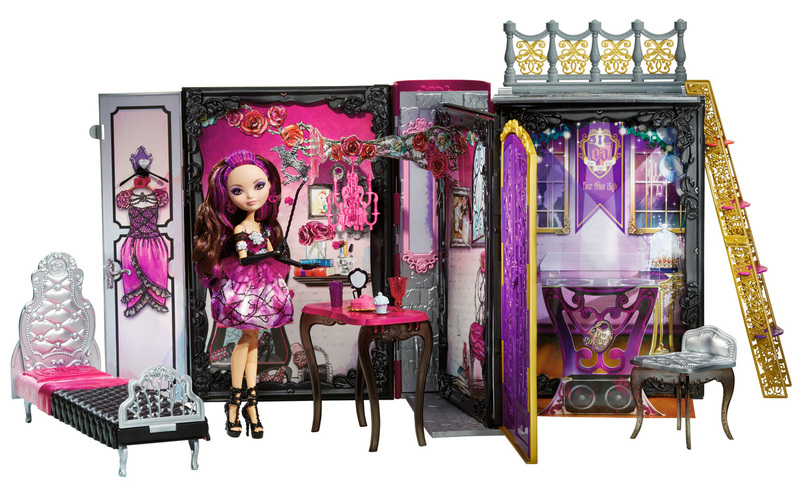 Plus, girls can store their jewelry or the doll’s accessories on the pegs for extra functionality. Find the bookmark hidden behind the mirror to reveal a surprise gift for the girl. When the story is ended, store everything inside and close up to for beautiful display on girls’ shelves. Ages 6 and older. 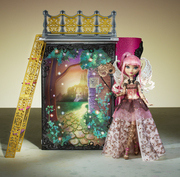 This spellbinding book-inspired item is the perfect setting for girls to display and play with the Ever After Royals and Ever After Rebels dolls in multiple settings. Closed, the book provides hexquisite display of Briar Beauty doll, who is included with the set wearing her stunning Thronecoming dress with a divacorn-inspired mask perfect for a masquerade ball. 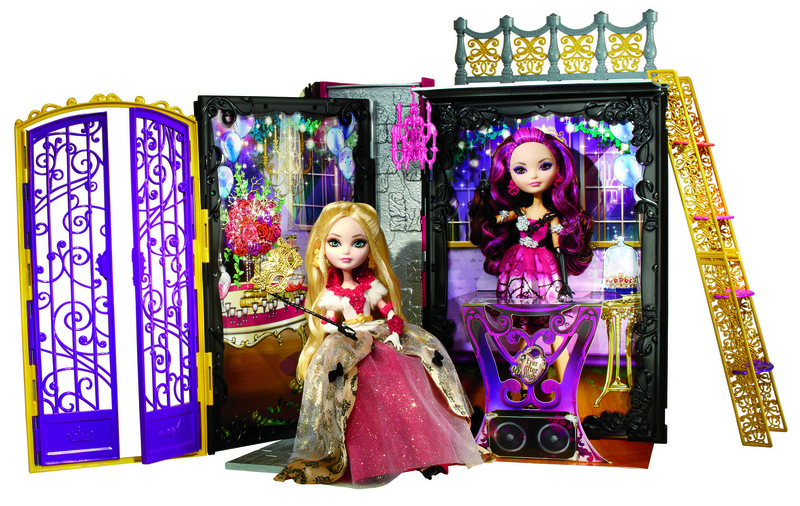 Open the “book” and turn the pages to reveal Briar Beauty doll’s dorm room, the Thronecoming dance and a third storytelling scene on the back. Customizable furniture and accessories allow for detailed display settings and elaborate stories. When the chapter has closed, cleverly store everything inside and close up for beautiful display on girl’s shelf.